The story starts from greeting a woman. It is no longer enough to see in the realm of the visible. The photograph presents a paradox in that it focuses our attention to that which exists in the frame and yet reduces the world to only what exists in the frame. Of course, context plays a huge part in reading the photograph, but there are limits to sensory perceptibility. The surface and two-dimensionality of the print are effective barriers to seeing beyond, not only physically, but metaphorically. 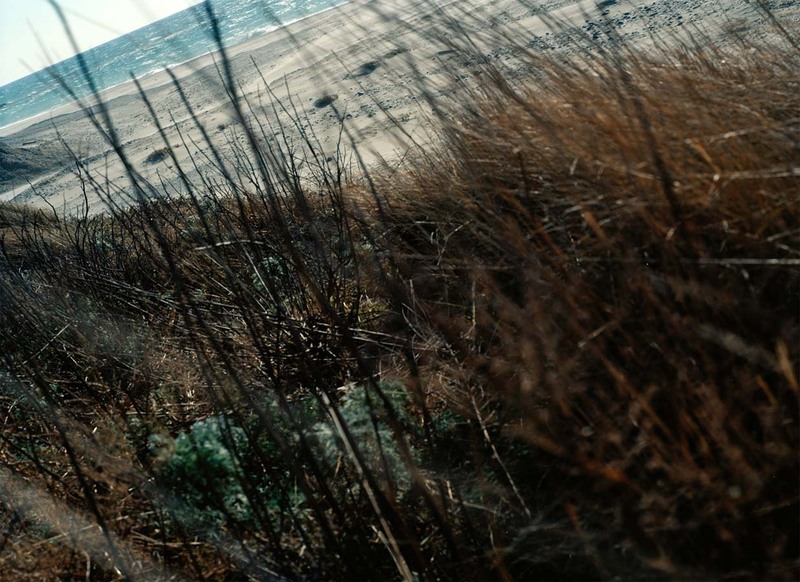 Yet a growing condition in contemporary photography seems to be towards transcending the real. I was drawn to this observation after seeing a great deal of work at Unseen representing the imaginary and employed through manipulation, both physical and digital. 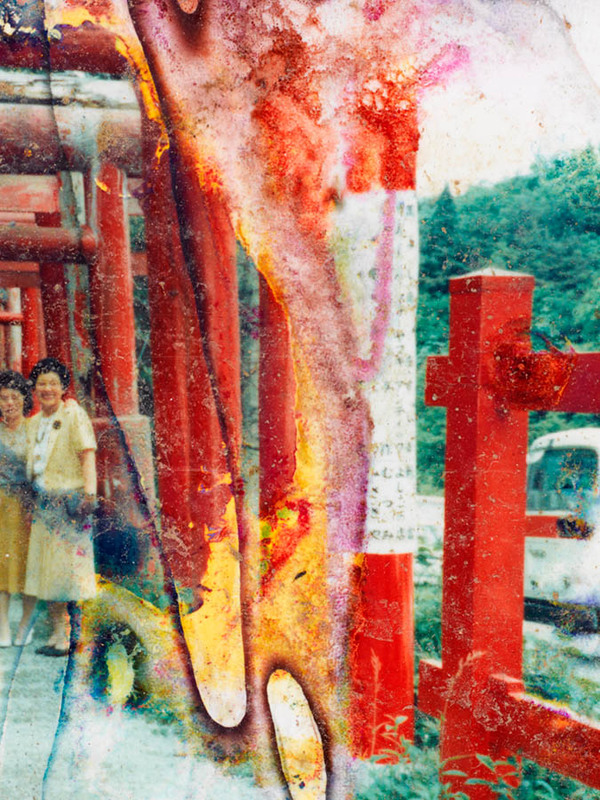 Concepts played out through a diverse array of deconstructive processes: photographs altered, cut, merged, painted on, scored, destroyed, pissed on. Perhaps dissatisfaction with uniformity and linearity, for settling with the end product of any one technology has led to intervention, performance and an interest in raw materials. It has resurrected photography as a science, and like alchemy, a desire to transcend our physical world and discover magic. In the early morning, I am stifled by falling ashes. 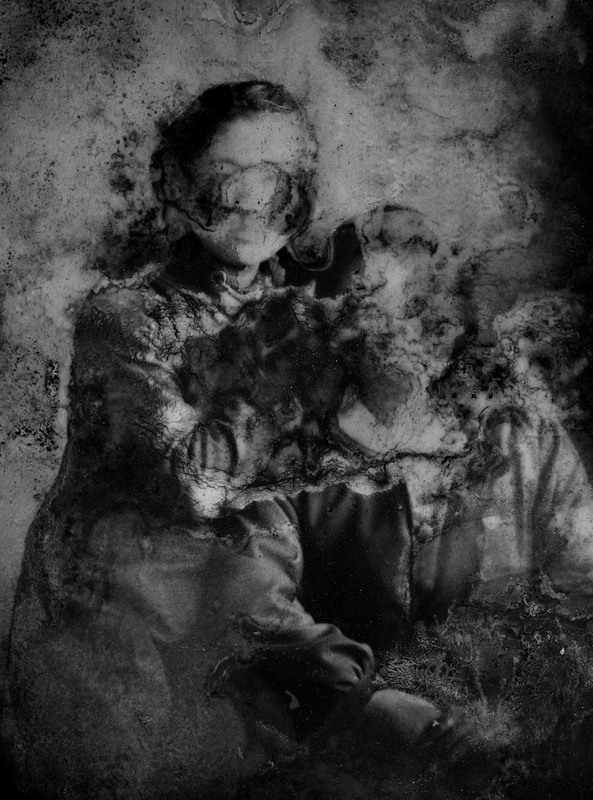 In Unfinished Topography / Collection, the ethereal photographs of Takashi Kawashima exist in another world. A world imagined as post catastrophe, devoid of humans. It is a world having succumbed to earthquakes, volcanoes and tsunamis; the natural disasters that wrench us unforgivingly from our precarious place on the earth. The unrelenting, seismic activity that befell Japan recently, surely can’t help but remind us of the fragility of human existence. 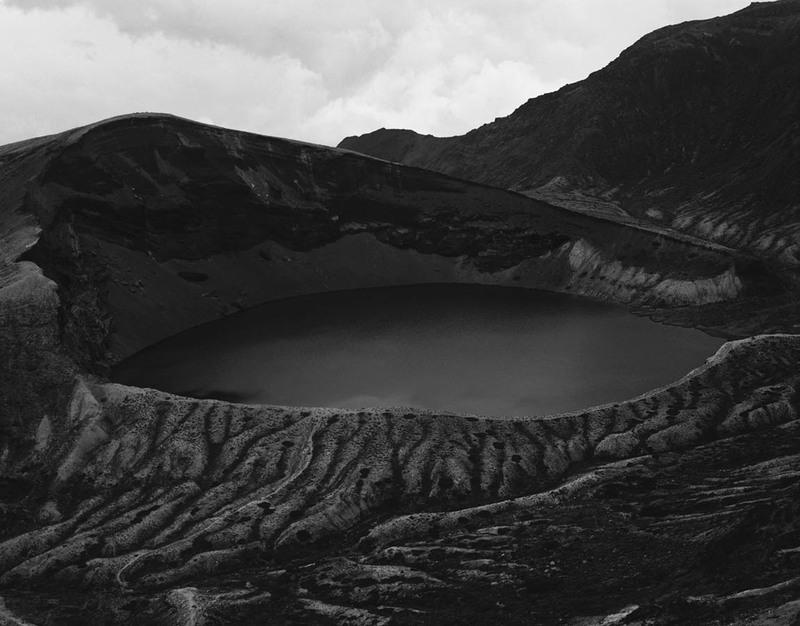 Through a beautifully sombre depiction of the landscape, seemingly damaged found photographs, coarse black and white staging with appearances of ash-strewn, Pompeii-esque figures, Kawashima taps into our delicate mortality. 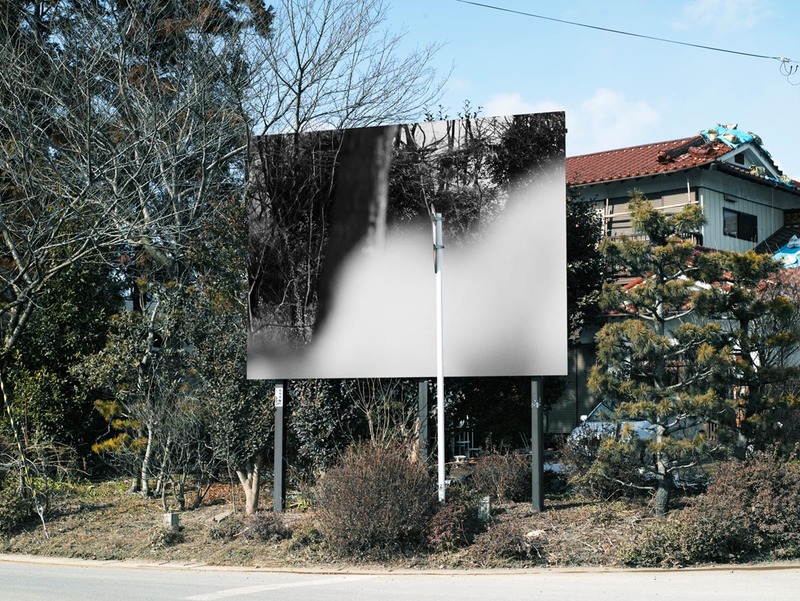 Process becomes central to the development of these works, however, instead of chemical and physical techniques, Kawashima, unashamedly utilises Photoshop to create a kind of digital alchemy, where processes of overlaying are employed, simulating manual manipulation. Deconstructing the original image becomes a reconstruction of something else until the artist intuitively senses efficacy. 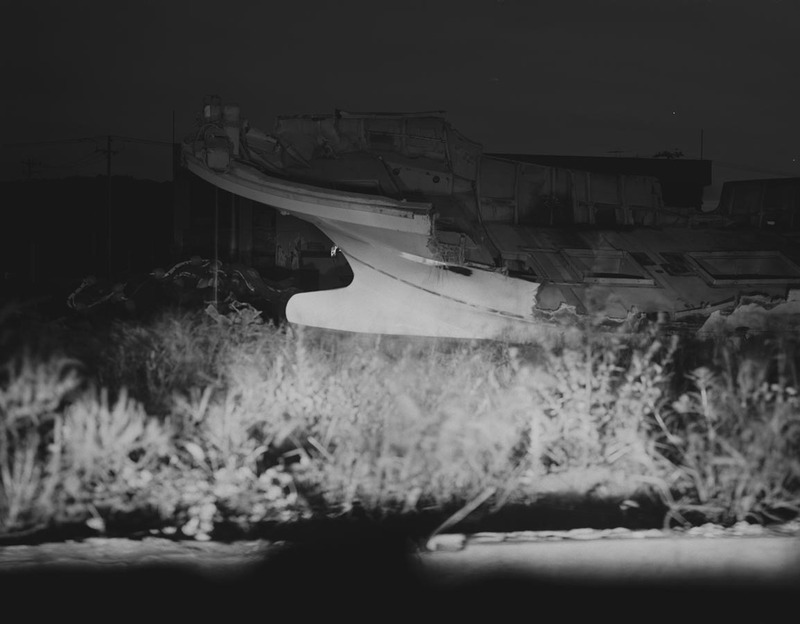 In the series Map Attracts Me More than Territory (2014), Kawashima builds his own camera and uses legacy computer and software technology to superimpose multiple images with his text, referencing and mimicking Jed Martin’s character in Michel Houellebecq’s La Carte et le Territoire, a novel which seeks to question the nature of representation. Kawashima’s title suggests his preference for representation over the represented and his fascination in presenting a number of possibilities over a pre-defined, single photograph. 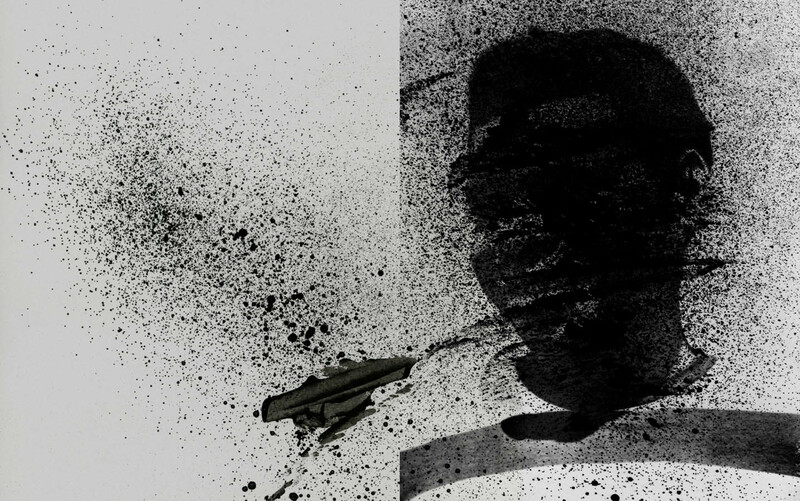 Process becomes central to the development of these works, however, instead of chemical and physical techniques, Kawashima, unashamedly utilises Photoshop to create a kind of digital alchemy, where processes of overlaying are employed, simulating manual manipulation. 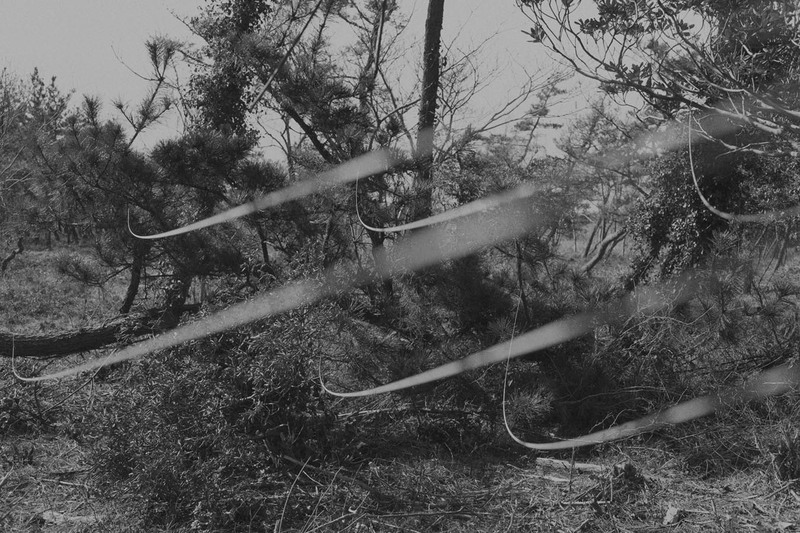 In New Coast, And a Fragment of a Woman, (2013), a work based on discovery of a lost family album, reunited with its owner after the tsunami of 2011, Kawashima selects edited transcripts from interviews, relaying fragments of stories and merges these with what appear to be flood-damaged family photographs and coastal landscape scenes, left desolate and estranged. In one image, he constructs a sign which reads ‘THE CHANCE TO RECOVER HUMAN NATURE’ – a solitary message to reassert hope in amongst the post-human bleakness. In making work about the incomprehensible experience of catastrophe, in this case a traumatic history too complex to present as a single narrative. Kawashima’s approach enters the unreal and exists in a devastated world accessible only through his images. 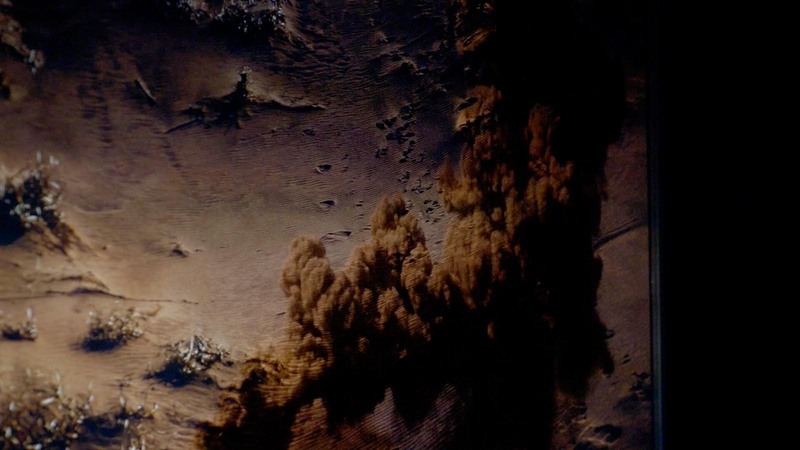 In pursuing process driven work which adopts certain conditions where many possible outcomes can emerge, he reflects upon the indeterminacy of what the future holds, this is no more so important than in light of these recent catastrophic disasters. In terms of the contemporary state of art photography, this multiplicity of execution and perhaps an aversion towards singularity opens up a future of possibilities. YOU MIGHT ALSO LIKE: PHILIP-LORCA DICORCIA: "Working the Angles with Hollywood’s Hustlers"
Takashi Kawashima is represented by G/P Gallery and the book ‘Unfinished Topography / Collection’ is published by Art Beat Publishers. Thanks to Sawako Fukai. Posted in Essays and tagged Digital Art, Essay, G/P Gallery, Japan, Michel Houellebecq, Sunil Shah, Takashi Kawashima, UnseenASX.